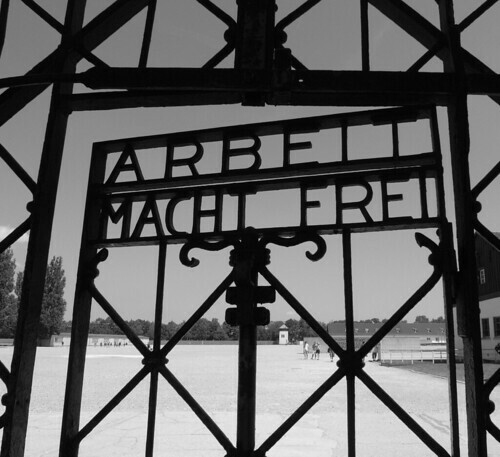 Arbeit Macht Frei, originally uploaded by Eric Jeschke. “Work makes free” (literally) or work enables freedom. This marks the beginning of the Dachau concentration camp exhibition. Taken on my recent trip to Munich. The remnants of our human failures shouldn’t be forgotten. An impressive photograph, Eric.